It’s that time of year again when state legislatures meet and bills to raise speed limits on interstates and state roads are introduced. Bills are being introduced in several states to raise the speed limit on interstates within the state’s borders up to 75 and even 80 mph. Apparently, the legislators who are pushing for these bills are pandering to constituents who want the speed limits raised without considering the danger posed by those speed limit increases. 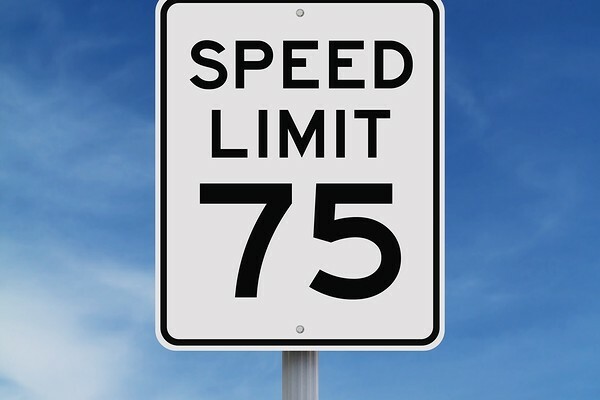 In 2011, the State of Kansas increased speed limits to 75 mph on certain highways. According to Kansas Department of Transportation statistics, in the two years following the speed limit increase, the number of deaths on those Kansas highways where the speed limit was raised increased by 54 percent. Injury collisions also increased on those highways by 13 percent compared to the two years before the law change. The Kansas statistics follow other studies that have found increases in the death rate after speed limits were raised. A 2009 study published in the American Journal of Public Health looked at the death rate on American highways after congress abolished the federal maximum speed limit in 1995. The study found an increase in the death rate of 3.2 percent on all roads, a 9.1 percent increase on rural interstates and a 4 percent increase on urban interstates. What that meant in real numbers were 12,545 deaths and 36,583 injuries that were directly attributed to the increase in speed limits. In 2006, Iowa’s Department of Transportation conducted a study looking at the death rate in several mid-western states that had raised speed limits compared to states that didn’t. They found an overall fatality increase of nine percent in those states that raised the speed limit compared with a seven percent reduction in the states that hadn’t raised the speed limit. Higher speed is a problem because it reduces a driver’s time to react to an emergency on the road. Higher speeds also make it more difficult to keep a car on the road on curves or when trying to avoid a crash. Higher speeds also increase the crash forces exponentially. When comparing a crash with a car hitting a stationary object at 70 mph vs the same crash at 75 mph, the difference between 70 and 75 mph represents an increase in speed of only seven percent but an increase of 14 percent in crash forces. According to figures from the National Highway Traffic Safety Administration (NHTSA), speed was responsible for approximately one-third of all highway deaths in 2012. Some legislators maintain that increased speed limits allow goods to travel to markets faster, saving money and creating a business friendly environment. According to a May 2014 report by NHTSA, crashes involving a speeding vehicle traveling over the posted limit or too fast for conditions cost the nation $59 billion in 2010, an average of $191 for every person in the U.S. In last year’s legislative session, the Florida legislature passed a bill that would have increased the speed limit on certain Florida highways to 75 mph but after protests from the Florida highway patrol, other law enforcement agencies, and safety experts, the governor vetoed the bill.